Famine stricken Ethiopia is exporting food to Europe while receiving aid from the World Bank to feed its population. How is this possible? 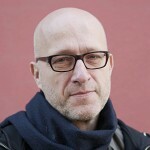 Director Joakim Demmer has investigated this scandalous situation for over six years. His key colleague early on was Ethiopian reporter Argaw Arshine, who began the investigation but had to leave the country due to threats from the police and, likely, the government. Demmer’s film uncovers a shocking story of corruption, which implicates the dictatorship of Ethiopia with the leasing, or selling, of lands—some in national parks, others held for centuries by local communities—which produce diverse and bountiful harvests each year. This powerful documentary shines a light on the investors, development bureaucrats, crusading journalists and environmentalists-- and the small farmers deprived of their land. Their story has been told quite effectively in this powerful documentary. After studying directing and cinematography at the German Academy of Film & Television (dffb) in Berlin, Joakim is now working as a director, producer and cinematographer. 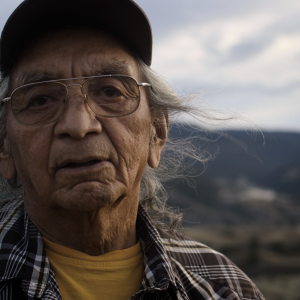 Set against the breathtaking backdrop of the Shuswap territory, a community elder speaks of his traumatic life experience, and of the healing he’s experienced via medicinal sage. 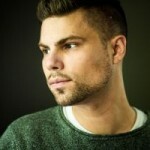 Sean Stiller is an emerging Canadian-Secwepemc filmmaker based in Toronto, Ontario. His work largely centers on Indigenous and social justice issues in Canada, as well as experimental and transmedia documentary practice. Sean's short films have been screened at the Bay Street Film Festival, ReFrame Film Festival, Quito Independent World Film Festival, Living Skies Film Festival, Skábmagovat Film Festival, Women in Film and Television, Cordoba International Film Festival, Her-Story/Reel Canada, and First Nations Film and Video Festival. Sean Stiller's most recent film, Kéwku, won Best Documentary and Best Cinematography awards at the Living Skies Film Festival. Earlier this year he also received the Ryerson University Social Justice Award for my documentary thesis project Cyéwmen. Sean is also regularly commissioned for commercial film work. His past clients include Lakehead University, Magnet/Ryerson University, Sigma Canada, The Vancouver School Board, The BC Provincial Government, National Aboriginal Day, The Gerstein Crises Centre, and numerous not-for-profit and for-profit clients. He is currently completing his MFA in the Documentary Media program at Ryerson University. His thesis is entitled Cyéwmen (fish camp, in Shuswap). Currently in production, it will be presented as an immersive installation experience of the traditional Secwepemc (Shuswap) salmon fish camp. He is also completing a documentary film exploring the crises of Secwepemctsín language loss and the transformative potential for Indigenous language revival.